Want to Buy Angry Birds On The Sega Genesis? 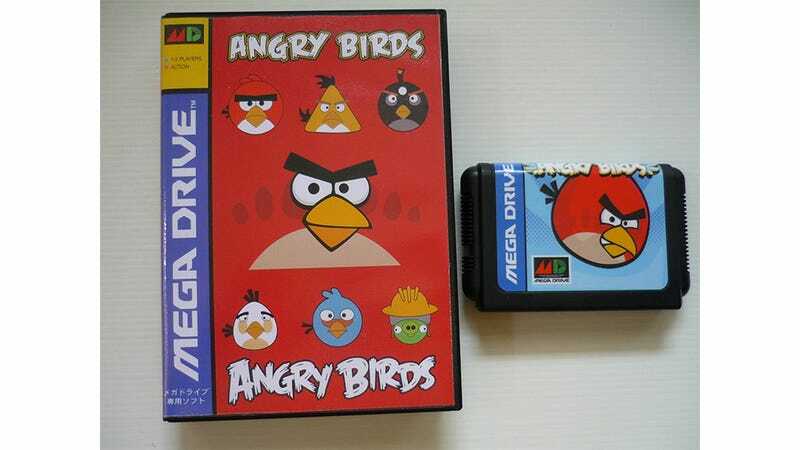 Earlier this year, a coder "ported" mobile game Angry Birds to the Sega Genesis / Mega Drive, running the game via emulation on a PC. Which was cool, but nowhere near as cool as this eBay Auction for a Genesis cartridge supposedly containing the game. Given the game, the system and the timing it would suggest to be a physical copy of the emulated game, with box art, a real cartridge and everything. The description is a little vague, so be cautious as it could just be a scam, but then, it'd be weird to go to all the trouble of making fake box art and cartridges for a system that only a serious bidder would still own. Then again, even if the cartridge was empty, the box and cart would still be a good purchase on the cheap, since it looks so damn good.